Over 30 attendants came to the solar cooking workshop we ran at Bioneers. They heard about the future of solar cooking in both developing nations and right here in the U.S. with Solar Cookers International founder and President Julie Greene and One Earth Designs co-founder Catlin Powers. 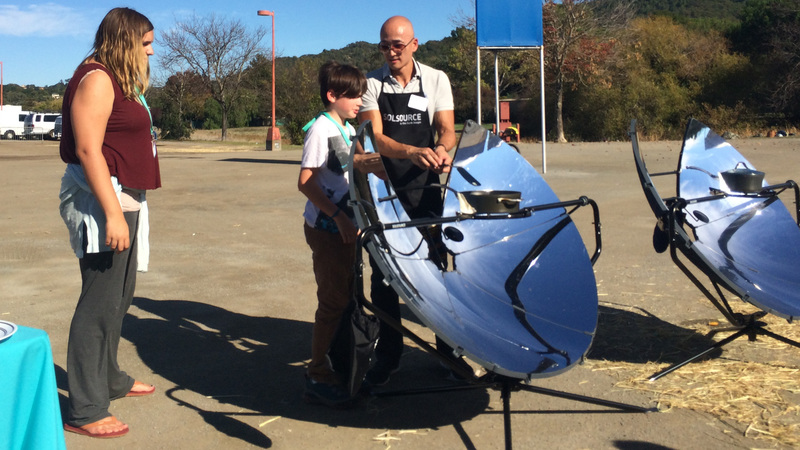 Attendees also got hands-on experience using a range of solar cookers, including our SolSource Classic, and were treated to the secrets of solar cooking by preparing dishes on a range of models of cutting-edge solar cookers, right under the California sun.